Our friends across the pond know a thing or two about jolly holidays. They’re also very gracious hosts. A family vacation to the United Kingdom is something to be cherished for a lifetime. Plus, there’s a good chance you already speak the language. More or less. Click the image to learn more about the cause. When you think of a vacation in the English countryside you probably think of cottages and tea and that rapscallion Mr. Darcy. Not that there is anything wrong with that. Then there are those with different ideas. In just a few days a collection of people from all corners of the world, including a couple of UpTake’s very own (Phil and Ed, respectively, who will be sharing details from their trip upon their return) are doing something that may seem a bit off the beaten path. Keyword: path. They are partaking in a six day walking vacation along Hadrian’s Wall (built by the Romans!). That’s 84 miles along the border with Scotland, which covers the entire width of England. Now before you ask if they are crazy, please allow me to say that, yes, they are. However, that has nothing to do with this trip. The walk is something of a causecation. Charitcation? Vacarity? It’s a charity vacation, they are traveling to England to help a cause. A damn good one. The Joseph Salmon Trust is a charity offering financial support to parents who have lost a child. It was founded in memorial of Joseph Salmon who died in his sleep at the age of 3. One of the driving forces behind the trust and the subsequent walk(s) — yes, they’ve walked before, is one Dan Hughes, blogger extraordinaire in the aforementioned England. The man’s heart more than makes up for his awkward attempts at humor (kind of like that one). He’s a great guy and he has championed the cause on behalf of his friends the Salmons. If you are able to donate anything at all to support the cause please visit their website. All donations go directly into the trust. It is a far, far better thing that they do. In the English Channel, the islands that form the Channel Islands Archipelago are closer to France than to England. The islands are accessible by plane or by ferry from Poole, Portsmouth or Weymouth in southern England or from Saint-Malo in Bretagne. 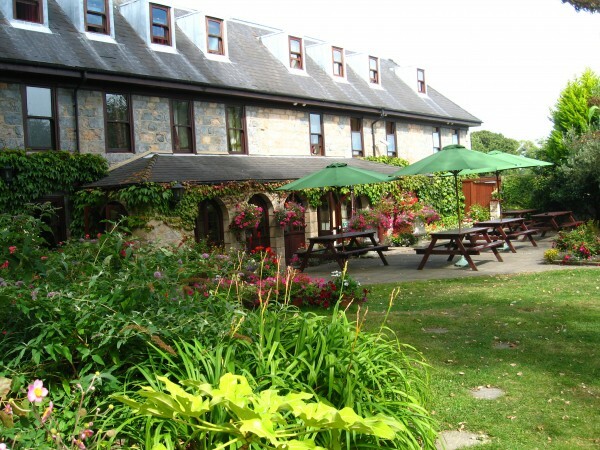 On quaint and charming Guernsey, the second largest island in the archipelago, Le Friquet Country Hotel offers great accommodations in peaceful surroundings. We stayed two nights in a comfortable room. However, the main draw of this country house is the beautifully tended gardens with a little pond and a brook running through it. My children also adored the lovely heated swimming pool. 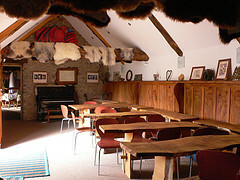 The hotel restaurant, The Falcon Carvery, is a local favourite. I will happily recommend the excellent Dover sole. For the three of us, we payed GBP 125 pr night, including a delicious breakfast with lots of choices. This was August 2009, so in the middle of high season. Le Friquet has various special offers and short breaks, some including flights from the UK and car hire. Le Friquet is about 10 minutes by car (a little longer by bus) from Guernsey’s lively capital, St Peter Port. 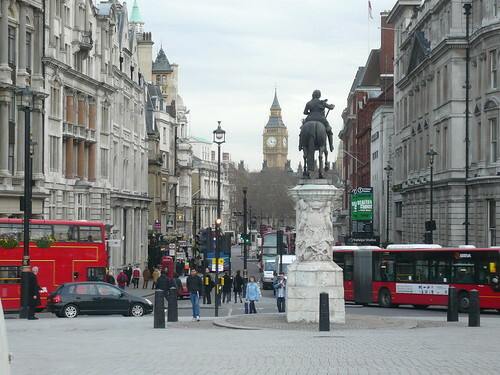 The hotel cooperates with Value-Rent-a-Car and offers car hire for as little as GBP 10 pr day. However, that’s nearly doubled if you add Collision Damage Waiver Insurance. Interestingly, the insurance do not cover tyres/wheels. Be aware that Guernsey has some traffic rules that don’t exist elsewhere, such as a peculiar filter-in-turn system. Parking is free, but limited to just a few hours. I hired a car, but it wasn’t really necessary, as the bus left just a few metres from the hotel. Also, if you’re in reasonable shape, it’s a pleasant walk. My youngest especially enjoyed spotting rabbits and squirrels in the fields along the way. Guernsey has beautiful beaches, twisting and turning narrow country roads and stunning nature around every bend. There’s plenty to occupy the visitor for a few days; I’d especially like to mention the evocative German Occupation Museum. St Peter Port has heaps of good cafes and restaurants, and very good shopping for such a small town. The only drawback is traffic. The little island has surprisingly many cars, so if you want something even more quiet, the neighbouring islands of Sark and Herm are but a short boat ride away. Both are tiny, car-free and magically beautiful. The Channel Islands are not strictly part of the United Kingdom, but rather British Crown Dependencies. 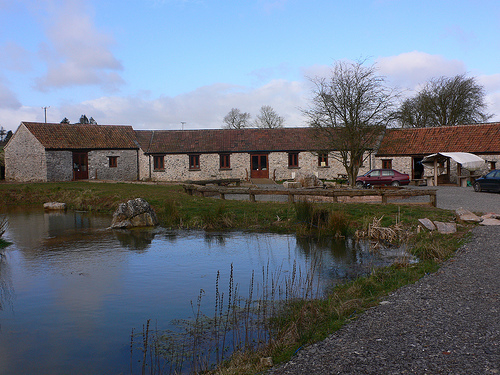 For lodgings in the UK, see all our reviews here. During medieval times, King’s Lynn in West Norfolk was one of England’s most important ports. Today, it’s a pleasant. modern city, home to 41 000 people, some curious and interesting-looking little shops, and lots to see, including the 12th century port. It’s fun getting lost in the winding alleys of the old town. In King’s Lynn, The Duke’s Head offers the finest lodgings in town. 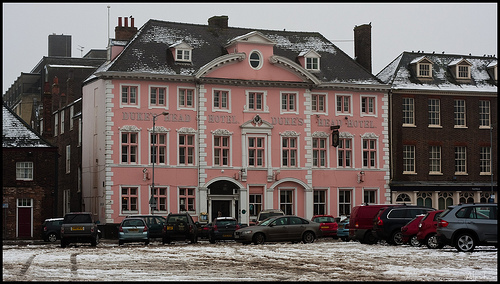 The beautiful pale pink 17th century listed building is located next to the large Tuesday Market Place, home of – you guessed it – the weekly Tuesday Market. As well as the Friday market. But not the Saturday market – that takes place on the slightly smaller Saturday Market Place. These lively markets have been around for hundreds of years. Today, the Tuesday Market offers everything for sale, from fish to clothing. In earlier times, you might have been treated to public hangings or witch burnings. The Duke’s Head is large with stylish antique-furnished sitting rooms and tons of atmosphere. It’s quite easy to imagine Hercule Poirot enjoying a tisane in front of the open fire place here while working out who killed the fish seller last Tuesday. Or something. My room was agreeable enough, although slightly worn; with a bit of loose list work, a cracked tile here, some torn wall paper there. But then I’m drawn to grand, old, slightly derelict hotels with heaps of character. Also, for only 55 GBP (full English breakfast included), I wouldn’t dream of complaining. The staff was cheerful, the bed was comfortable and as always, I enjoyed the coffee- and tea making facilities which are everywhere in England. I stayed on a Sunday night and the town was very quiet. There’s surely plenty more activity – and noise – during the week, and especially on market days. I should have quite liked to wake up to the sound of the market coming alive. Something about being in the middle of a city when it wakes up. 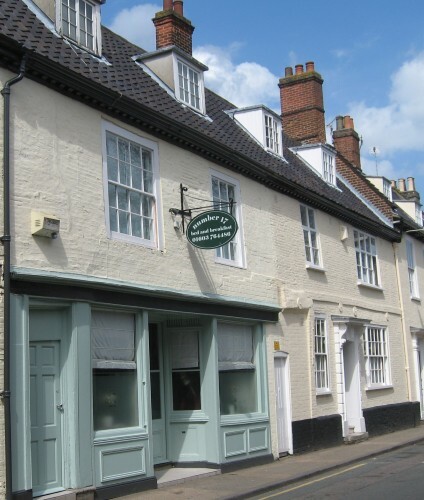 For more lodging options in gorgeous Norfolk, se our review of Number 17 B&B in Norwich. Photos courtesy of SaltGeorge on flickr’s Creative Commons. In East Anglia, the county Norfolk is full of gems. You can spend several days rambling along the Norfolk Broads or along the North Sea coast. A good base for exploring eastern Norfolk is the historic and lively university city Norwich. Arriving in town with no pre-booked accommodation, I just stumbled upon Number 17, a pleasant little B&B just far enough from Norfolk’s busy market square and main street to afford quiet surroundings. Entering the house behind the frosted windows, you walk through a breakfast room with wooden flooring and relaxing sofas in front of an open fire place. To get to my room, I walked through a courtyard with chairs and tables, great for an outdoor breakfast on warm summer days. The courtyard also had several bird houses and nesting boxes. I really enjoyed waking up to the sounds of birds chirping. There’s also an enclosed hot tub available for guests. The modern bedroom was nice as well, with comfortable beds and a nice, clean bathroom. I had a twin room at single room price, and paid only GBP 49 for an agreeable room with free internet access and a delicious and generous English breakfast, including some unusual additional items such as cranberry juice, vegetarian sausages and a great variety of fruits. The reception closes at 5 pm, but you get all the necessary keys and codes to come and go as you please. Number 17 has eight rooms; rates as of May 2010 are GBP 75 for twin/double rooms and GBP 115 for a two-bedroom family suite. Discounts are offered for longer stays. The B&B is rated as a 4-star-guesthouse by enjoyEngland, England’s official tourism website. For other UK lodging options, have a look at our reviews of places to stay in the UK. There are several Center Parcs holiday villages in the UK and all over Europe that prove popular with groups and families wanting to spend time together in a natural setting. We spent a New Year break at the Longleat park in Wiltshire, that was once part of the estate of nearby Longleat House. 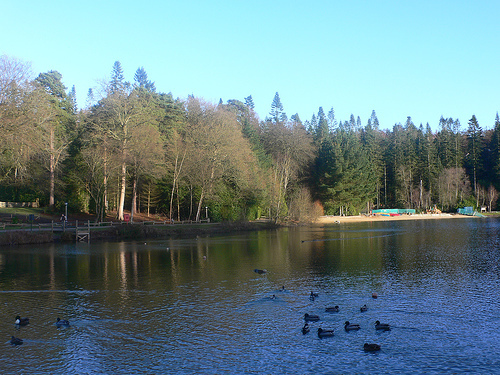 One of the features of Center Parcs is that once you’ve unloaded, the car is left in the car park and you can cycle and walk through the forest to get between numerous sporting activities and swimming dome. You book for lodging at Centerparks for a 3 night (weekend), 4 night (mid-week) or 7 night break and accommodation is in wooden cabins sleeping from 2 to 8 people, set in the woodland. You should be aware that the site is large and you do need bikes to get around, or you can use the small train that runs regularly around the site. The cabins are furnished in modern, Scandinavian style with an open plan kitchen/living area and open fires which gave them a cosy feel. The setting is lovely as there are small ponds around the whole area and plenty of trees making each cabin feel quite private. This works well for families holidaying together as you can rent separate but adjoining cabins. 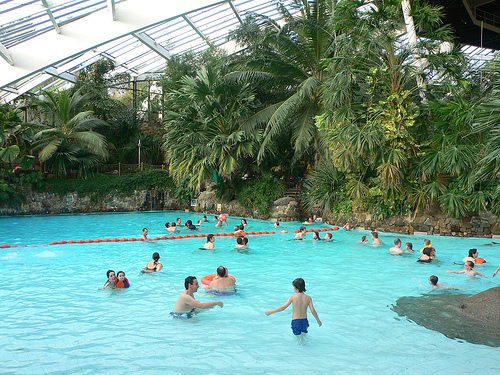 A well known feature of Center Parcs is the dome housing the pool area, looking like a tropical paradise with lush palms, rocky outcrops, and several different pool areas. At the sound of the Tarzan call, the wave machine starts up and you can pretend you’re on some beach in the sun with the waves washing gently over you. The children loved the lazy river and the water slides which took you outside into the fresh air and back in again before splashing you into a deep pool. We also spent plenty of time at the Jardin des Sports, filled with tropical greenery and overlooking the lake. Here you’ll find facilities for every sport under the sun including American Pool, badminton, tennis, raquet ball and many fitness classes on offer. For those that want to also have a bit of pampering there’s the Aqua Sana spa with different treatments available. If your children are looking for more adventurous activities, there are plenty to choose from including abseiling and climbing across rope walkways, but you need to book for these as soon as you arrive as they are very popular. Ours opted for the Laser Clay shooting enjoying the grown-up feel of it and posing like hunters for photos at the end. For our celebration meal on New Year’s eve there were many different restaurants to choose from grouped around the grounds. We settled on The Grand Cafe, an attractive bistro that looked like a converted barn with painted metal beams and a high ceiling open to the rafters. After our meal, we gathered with other guests around the lake for a New Year’s eve firework display. 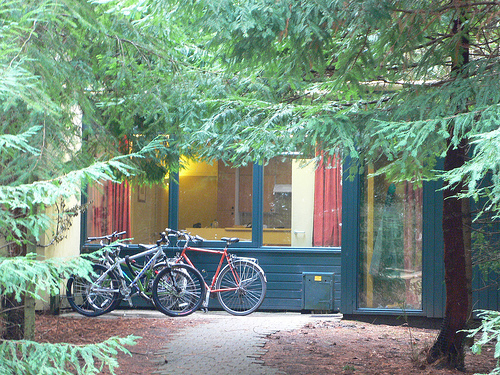 The only drawback of Center Parcs is the cost, particularly in high season and holiday breaks. Although unlimited use in the swimming dome is included, all the other sporting activities cost extra and for a family the cost of sporting activities, bike hire, drinks and snacks can add up. So if you’re on a budget be sure to do your grocery shopping before you arrive and bring your own bikes to save the cost of renting them. However, for families or groups wanting a relaxing and self-contained place to spend time together with plenty of amenities, Center Parcs is ideal. 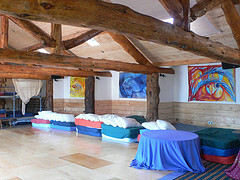 You can also visit the Uptake site for more family friendly hotels and lodging ideas. If you like wild Welsh countryside and wide sandy beaches bounded by cliffs and rock pools, the Gower peninsula on the southern coast of Wales is a great place to visit. We stayed at Pitton Cross Campsite, a family run camping and caravaning site that’s toward the western tip of the Gower Pensinsula and just a short drive from several different beaches and other attractions, all great in different ways. The campsite has well laid out spaces for caravans and tents close to the entrance area, but we stayed in the large field that was a little further down the track, with camping around the edges and plenty of space for games and running around in the centre of the field. There’s a small shop at the entrance that sells basic camping supplies, provisions and swimming and surfing gear and the shower and toilet block is located next door. 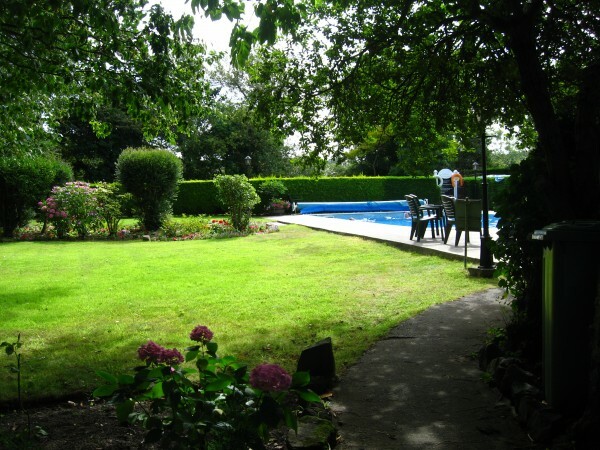 The site is very family friendly with a family camping area and small childrens play area, with pitches divided by hedges and shrubs. 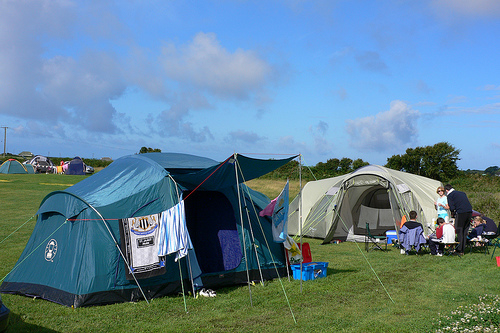 Pitton Cross Campsite is just within sight of the sea, and a little more protected for being set away from the cliffs – some of these coastal sites can be very windswept. You can walk over a few fields from the campsite and down to the rocky Ramsgrove cove which is pebbly rather than sandy, but it’s more of a small smuggler’s cove than somewhere that you’d lay out your deck chairs and picnic rugs for the day. You’re better to head for the rocky peninsula of Worm’s head, owned by the National Trust where you can walk across a rocky bar to the tip of the peninsula, or walk right down to beach which is a great place to while away the afternoon. Surprisingly for such a large and open beach, Rhossili seems to be quite uncrowded as many people are put off by the long walk down from the car park, but when you get there, there’s plenty of space for kite flying and beach games. 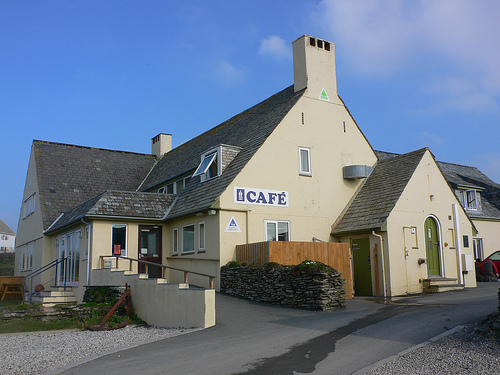 Back up to the car park and you can stop for a daytime snack or evening meal at the Bay café with a sunny terrace overlooking the beach. 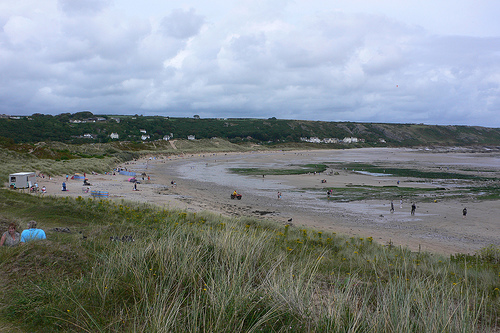 If you drive 10 minutes in the opposite direction from the camp site you’ll reach Port Eynon beach where there’s a large car park and the beach is more accessible with a YHA Youth Hostel housed in an old Life Boat station, right on the beach. Although the beach surroundings are more built up here, you can walk up onto the cliffs and through the yellow gorse or play around in the many rock pools or in the sand dunes. We were also recommended to try Mewslade beach where you park in a field and walk down a small valley with a nature reserve, scrambling over the rocks and arriving at a fabulous beach with wide sandy stretches at low tide, rockpools and steep cliffs around. This is a good medium sized beach to settle down for a few hours and relax with a picnic or a good book. 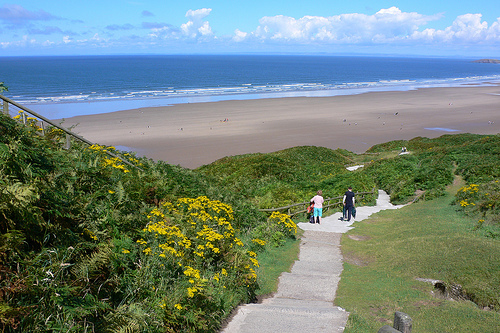 I’d recommend Pitton Cross Camp Site as a well run and maintained family-friendly camp site, that’s ideal as a base to visit some of the lovely beaches of the Gower peninsula in South Wales. 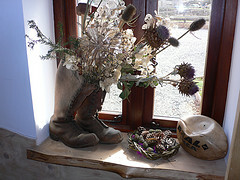 For other lodging ideas do take a look at our other reviews of lovely places to stay in Wales. The county of Cornwall in the south-west of England is known for its mild, sunny climate, its rocky coastline and the surfing beaches (don’t forget your wetsuit). For the budget traveler, Cornwall is also blessed with a number of hostels in the YHA (Youth Hostel Association) network that was founded 100 years ago. Many of these are in fantastic locations along the coast and one of the best is Treyarnon Youth Hostel, perched on the cliff top above Treyarnon Bay and a few minutes walk from Constantine bay. Don’t be fooled by the Youth Hostel label – this hostel is enjoyed by families and travelers of all ages, with most rooms sleeping 3-6 people in bunks and some of the rooms with en suite bathrooms too. The rooms have a cheerful, homely feel, with pine bunk beds with brightly coloured curtains and pastel painted walls and sheet sleeping bags are provided to use with the hostel’s duvets and pillows. 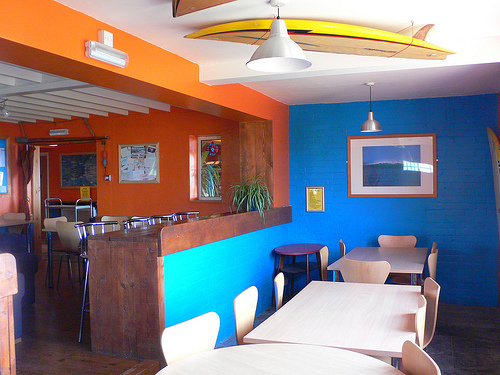 There’s a communal sitting and dining area with terracotta walls and surf boards decorating the walls as well as a cosy open fire and plenty of board games to occupy you if the storm clouds roll in. There’s also bar where you can buy wine and Cornish ale (under the licence you can’t bring your own alcohol) and you can order breakfast and evening meals here, or use the self catering kitchen to cook up your own feast using locally caught or grown produce. The hostel is open all year round and is my favourite for an out of season break with fresh air and bracing sea walks, and it’s extremely popular in the school holidays and gets booked up well in advance. Unfortunately it’s not that easy to get to the hostel by public transport although there are directions on the website, but if you don’t have a car, it’s an ideal stop for walkers to follow the coastal paths, staying in a different lodging each night. 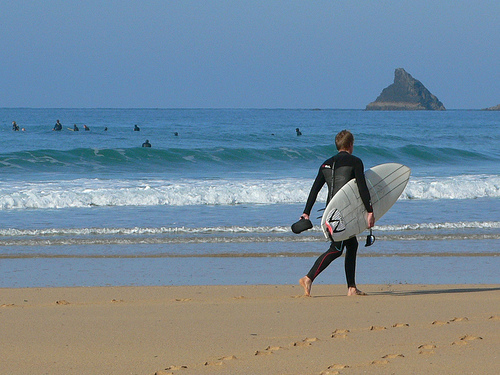 If you’d like to try some surfing, there’s a surf school in Constantine bay, just 5 minutes walk away where wetsuits and boards can also be hired. It would be very easy to enjoy a relaxing few days just walking, swimming, surfing and pottering about on the beach, but if you’re feeling more active then there are a number if interesting things to do in the area. Just around the headland is the fishing town of Padstow, well known for it’s picturesque harbour and fishing boats and with some interesting shop, galleries and restaurants although it gets very busy in high season. This is the home base of celebrity TV chef, Rick Stein who has his flagship fine dining ‘The Seafood Restaurant’ here as well as a number of other food shops and cafes including the fish and ship shop on the quay and a cookery school. From Padstow, you can take the regular ferry that crosses back and forth across the estuary to the holiday village of Rock and walk along the sand beach and through the dunes to the pretty little chapel at St Enodoc where the famous poet, John Betjeman is buried. At Padstow, you can also join the Camel trail which is a flat walking and cycle path along the estuary and an ideal family day out – bikes can be hired from the shop beside the car park. 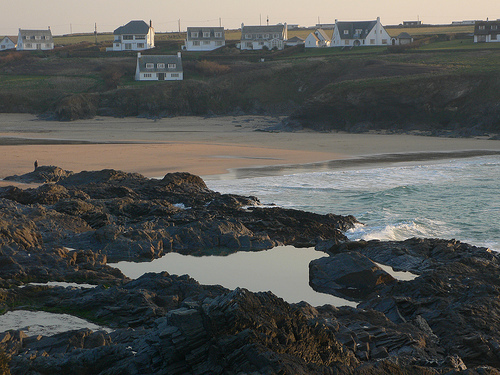 If you’re looking for a budget lodging in a stunning coastal location, with opportunities to surf, walk or dabble in rock pools, then do check out the Hostel at Treyarnon Bay or any of the other YHA hostels in Cornwall and the UK. Beds from £14 per person per night.